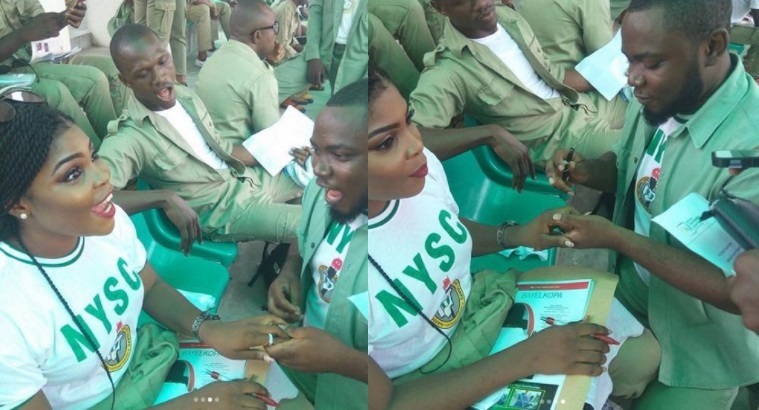 2 NYSC members proposed to their girlfriends today during their POP in Jos. of course,they both said YES! 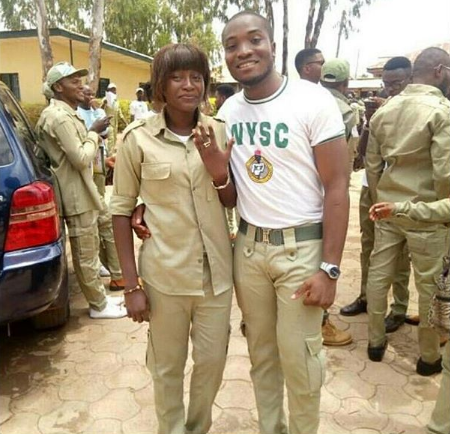 Description : 2 NYSC members proposed to their girlfriends today during their POP in Jos. of course, they both said YES! 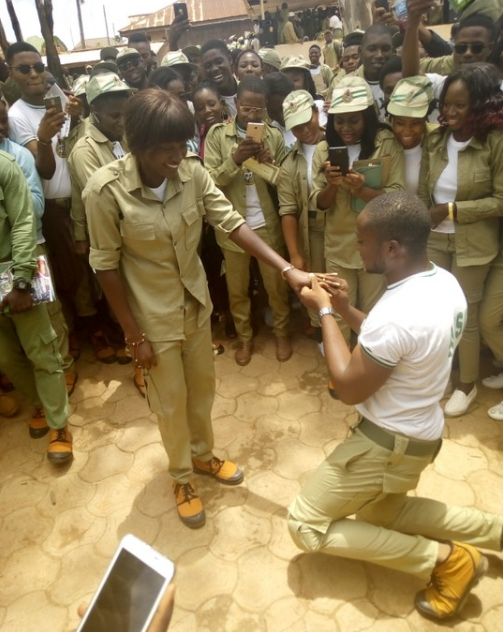 0 Response to "Photos: 2 NYSC Members Propose To Their Corper Girlfriends During Their POP Today"